Every now and then, we will attempt to write the worst sports column on earth. Today: Let’s talk about Notre Dame and the Dallas Cowboys. 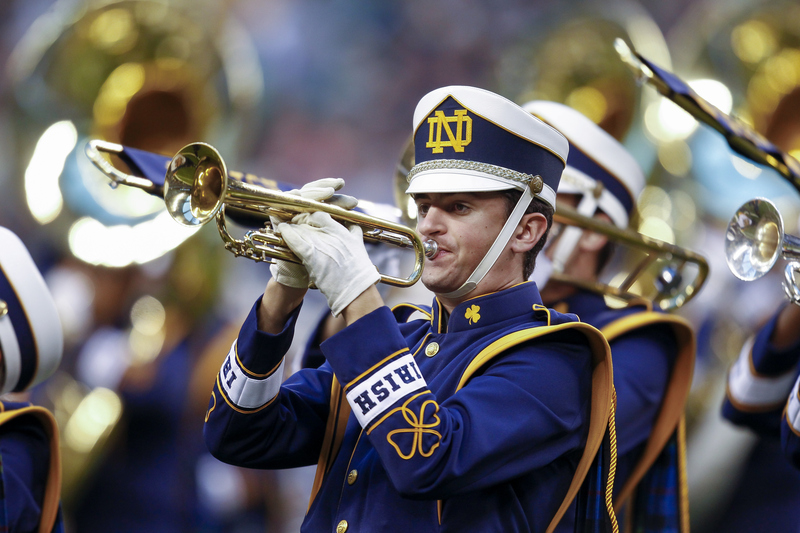 SOUTH BEND, INDIANA — There are plenty of good football teams every year. But how many of them are truly iconic? If someone asks you about classic college football, the platonic ideal, it won’t take long before your mind is transported to northern Indiana. You see Touchdown Jesus off in the distance, the sun beating down on that big golden dome, and then the rays glimmering off those golden helmets while the band plays them all to victory. Someone asks you about classic pro football, and suddenly you’re sitting in your parents’ living room. You’re gawking at that big hole in the roof, following those giant stars in the middle of 11 silver helmets dancing across your television screen. Notre Dame and the Dallas Cowboys. Gold and silver. I’m not saying they’re better than all the other great teams in football. But they might be more important. We live in an era of gotcha journalism with a world full of clickbait headlines, and nothing moves the needle like a good ol’ fashioned attack on football. Every other week, Time magazine has a new cover asking if we should put an end to life on the gridiron. The most American game in American history is under attack. Every blogger with a modem wants to go viral on BuzzFeed, and it doesn’t matter whether we’re all BuzzFed up. Negativity sells, so the stories just keep coming. The media’s in a race to see who can get us the most outraged, and they’re all winning. One week we’re tearing down the NFL, the next week we need to burn down the NCAA and write checks to every college kid. Even the leadership is powerless. Roger Goodell has always ruled with an iron fist and velvet glove — power and finesse, kids — but lately, nothing’s good enough to satisfy the masses. The same is true with Mark Emmert and the NCAA. No matter how big and successful college sports become with Emmert as the ringleader — oh, look, another billion-dollar TV deal — the peanut gallery just pushes harder to run the whole circus out of town. Nobody’s saying football is perfect. Don’t get me wrong. Just look at a guy like Super Bowl winner Richard Sherman. He’s the prototype for today’s superstars. A whole lotta hype and zero respect for the game. The only thing bigger than his contract is his mouth. Or look at a football program like the defending national champions, Florida State. I’m all for letting college kids blow off a little steam, but once you start breaking laws and signing autographs for money, I blow my whistle. Flag on the play. Unsportsmanlike. Our winners are supposed to be the best and the brightest, but lately, they’ve been as disappointing as anyone. Maybe we need some new winners. Or maybe we just need the old winners to start winning again. The Domers were goners if you listened to the media the past few years. Because this isn’t Florida State. Because you can’t win football games and have integrity at the same time. Because you can’t be a powerhouse in the classrooms and a powerhouse on the field. Because your dad’s favorite football team can’t get through to today’s high school kids. Well, breaking news: Notre Dame is sitting at 6-0, headed to Tallahassee this weekend to take on the Criminoles. While the rest of the country cuts corners and runs in circles, the program that refuses to forfeit its principles is still outrunning them all. How’s that for a good story? Everett Golson has been a wizard at quarterback for the Irish all year long, and coach Brian Kelly is on the sideline pumping his fist, and they’re all playing like champions today. In recent years, it’s been popular to turn Notre Dame into a punching bag, and it only makes sense if you pay attention to the rest of our society. It’s something I like to call the “politics of achievement.” The higher you climb, the quicker someone will try to tear you down. Achievement doesn’t score any points with us, it just makes you a bigger target. The Manti Te’o debacle is a great example. When sportswriters were talking about his late girlfriend and his perseverance through tragedy, how many people even noticed? But as soon as we found out his girlfriend never died and never even existed, suddenly it turns into a national craze with millions of web hits. We don’t want heroes in this culture. We want scandal, we want clicks. Anyone who’s trying to set an example today gets torn down by the media, dragged to the middle with the rest of us. It’s hard to keep climbing when we can’t see anyone on the mountaintop. But there’s Notre Dame this season, climbing higher every week. Your dad’s favorite team might just impress these kids after all. And then there’s the Dallas Cowboys, doing the same thing in the NFL. I’m old enough to remember when it was cool to love the Cowboys. Lately, it’s just cool to make jokes. The politics of achievement again. Let’s all tear down America’s Team. That was supposed to be the plan this year, too. The Cowboys were supposed to be one big punch line for one more year. 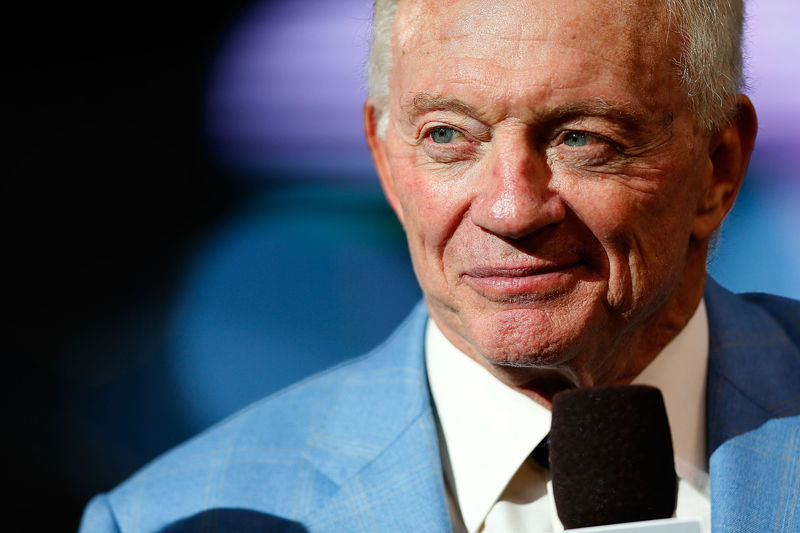 The critics said owner and GM Jerry Jones has been shooting blanks for a decade. But ol’ Jerry stuck to his guns. And you know what? While the rest of the NFL falls in love with the spread offense gimmick, Jerry’s boys bet big on a huge offensive line and running game that’s as simple as it is devastating. Let Chump Kelly and the Eagles diagram 20 different ways to throw a screen pass. These Dallas Cowboys hand it off and hit you in the friggin’ mouth. It’s not new, but some things never go out of style. And it’s working. After a false start in Week 1 against the Niners, Dallas has gone undefeated ever since. No bells and whistles, just wins. It all crested with an upset on national TV this weekend, against (guess who?) Richard Sherman and the Seahawks. With the whole world watching, there was no postgame interview for Sherman to hijack. They don’t interview losers. Well, Sunday was Jerry’s 72nd birthday. And you better believe there was plenty of glory hole back in that Cowboys locker room. There’s an old joke I’ve always loved to tell friends. Why does Cowboys Stadium have a hole in the middle of the roof? Answer: So God can watch his favorite football team on Sundays. Of course, that’s only after Touchdown Jesus gets done watching the Fighting Irish on Saturdays. It makes you think. Maybe these teams can make us all believers again. Football matters more when Notre Dame and the Cowboys are winning. It feels more important. With clouds of controversy in every day’s web forecast, maybe two iconic brands are what help this sport shine again. For once, the best teams might be the best story, too. It’s only human to romanticize the past. I know. It’s just as human to worry about the future. It’s what we do now. We look at all the headlines, then look at our kids, and we ask, “Weren’t things better in the good ol’ days?” But when we play this game, everybody loses. Forget the past. Forget the future, too. Watch Jerry and the Cowboys riding high in first place. Watch the Irish fighting to the top of polls one more time. What if we’re living in the good ol’ days right now?